Forgiving others is important, but forgiving ourselves is a must. In fact, I’ve heard it said, “you are incapable of forgiving others if you can’t first forgive yourself.” In other words, you cannot give to others what you are incapable of giving yourself. In 1973, my family and I were returning from visiting relatives in Texas a few days before Christmas. A short 30 or so miles into our trip home our car was hit head-on by a drunk driver. My entire family, including my grandparents, were in the car. The result of the nearly 75 miles per hour impact were two heavily damaged cars and two deaths…my mother and the brother of the driver in the other car. The wreck was devasting to our family not only because the loss of my mom and the emotional toll it took on my father, but also because my mom’s family never forgave my father (he was driving our car), even though the accident wasn’t his fault. The accident created a rift between the two families that for the most part remained well into my adult life and was never really settled. Tragedy, accidents, life happens…to us all. Grief can be a tricky thing that affects people in very different ways. My maternal grandparents chose to deal with this grief by misplacing blame and being angry. Do I blame them for hurting and being angry? No, not at all. What’s interesting about anger (hate too) is it affects the individual who harbors it far more than anyone else. Anger and hate can sit like a cesspool of poison within us. My father passed away about 8 years ago from cancer. He spent the better part of 40 years after the accident as a very private and withdrawn person. He had few friends and those he had he rarely spent time with doing anything. Instead, my father’s world became his kids and later in life his granddaughters. For several years after his death, I harbored the guilt that I had stolen my father’s hope by sharing what the doctor had told me. Watching him slowly wither away before our eyes as he battled lung cancer was tough. At one point, while hospitalized, he pleaded with me to get his doctor to release him so he could go home, the same home he and my mother had built a mere few years before her death. I wanted nothing more than to fulfill his wish, so I cornered his doctor and asked point blank what my father’s prognosis was. His doctor said the cancer was everywhere, but he thought they could prolong his life for several more months with his current radiation treatments. I asked the doctor if my father was aware of his condition and terminal state? The doctor gave the rather squishy response, “I believe so”. Those words, “believe so” just didn’t sit well with me. He had either discussed this with my father or he hadn’t. I returned to my father’s hospital room having secured a commitment from the doctor to get my father released later that day. I made the decision to have a very tough conversation with my father, the only parent I had ever really had in my life. As I sat at my father’s bedside I had “the” discussion with him. I needed to know that he knew how dire things were. He openly wept when I shared what the doctor had told me. He then said get me out of here. I got him and with the belief that he had several more months to live secured him Hospice. Two days later, my father died in his own home. For several years after his death, I harbored the guilt that I had stolen my father’s hope by sharing what the doctor had told me. From my perspective it had to have been me that led to his sudden passing, after all, the doctor said he had more months to live with treatments. What changed for me was when a lady, who I had only known for a short period of time, said to me “Jay you didn’t kill your father, cancer did”. In that instance, mostly because I chose to forgive myself, I felt a heavy burden lift off of me and I was at peace. My father was an incredible man. He was in his early 30’s when my mom died and he was left to raise three kids on his own. I don’t think he chose to be reclusive in his remaining life, I simply believe he sacrificed his own interests and life goals, so he could ensure he provided for us. I don’t know if my father ever blamed himself in any way for the accident that happened all those years ago…he never talked about it. I do know that he, nor my mom’s parents, every really forgave one another. They seemed to always associate the accident with my father being the driver and that it was somehow his fault (despite a drunk driver hitting us in our line of traffic), and my father never really forgive them for the blame they placed upon him. There are some important lessons in this for all of us. 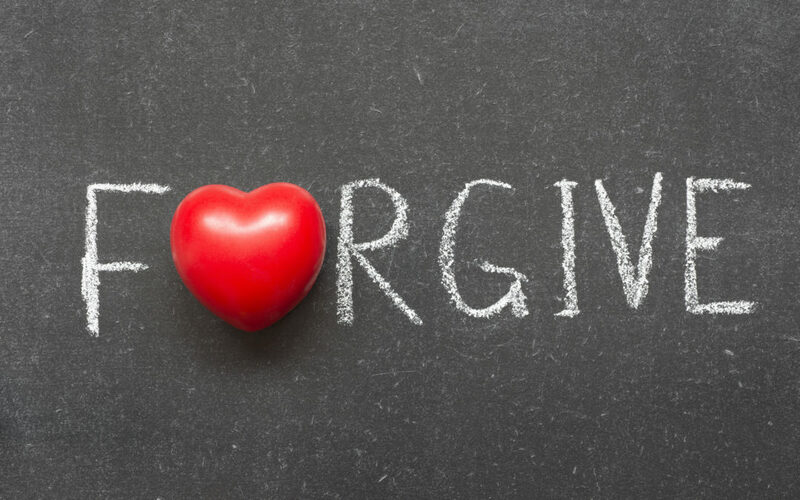 During a time reflection over the accident and all that occurred after it is when I realized the inability to forgive is perhaps more dangerous than anything that could have been inflicted upon us or a loved one. For this reason, I choose to forgive. Forgive those that wrong me and most importantly forgive myself. I’d like to encourage you to take a minute to reflect. Who do you need to forgive? The moment you do you will find it to be liberating and life to be a whole lot sweeter.